Latest McAfee report also reveals major rise in ransomware, malicious macros and public sector accounts. Malware attacks hit a new zenith within the last few months as criminals ramp up their assaults on targets around the world. 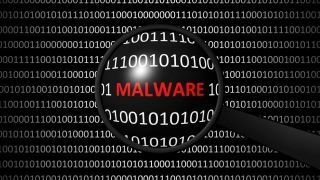 The latest quarterly McAfee Labs Threat Report revealed that the number of malware samples reached an all-time high, with 57.6 million new samples recorded within the three months covered. This is equivalent to four new samples being recorded every second, and represents a 10 per cent rise on the previous quarter alone. Mobile malware also saw a major rise, with the report revealing a total growth in mobile to hit 21.1 million samples - a 60 per cent increase from the previous quarter, a rise largely due to a rapid increase in Android screen-locking ransomware. “Although attackers will always seek ways to use newly developed innovations and established platforms against us, our industry perhaps faces a greater challenge in the effort to influence individuals and organisations away from becoming their own worst enemies,” said Raj Samani, McAfee’s chief scientist. Overall, McAfee Labs encountered 263 publicly disclosed security incidents in Q3, a decrease of 15 per cent from the previous quarter. The firm added that more than 60 per cent of all publicly disclosed security incidents in the quarter took place in the Americas. The health and public sectors accounted for more than 40 per cent of total incidents in Q3 2017, with health sector attacks growing in North America, and public sector attacks topping the list of reported attacks in both Asia and Europe. Elsewhere, ransomware attacks also saw a significant increase, with new ransomware samples rising by 36 per cent during the quarter, hitting 12.2 million samples. This was helped by the emergence of Lukitus, a new version of the Locky ransomware which hit more than 23 million spam emails within the first 24 hours of its release.